Writing is a skill that acquires attention to detail, a firm grasp of the English language and a great deal of knowledge on the topic at hand. Shelby acquired her Bachelor of Arts from Sir Wilfred Laurier University, a Journalism Diploma from Cambrian College and a certificate in Motorsports Management from Sports Management Worldwide. Shelby was taught how to write for a variety of categories including newspapers, magazines (both print and digital), press releases, research papers, promotional materials, sponsorship requests and content creation methods. Her passion and first-hand experiences with motorsports, powersports and action sports will guarantee well thought-out and target market friendly information in all written work. 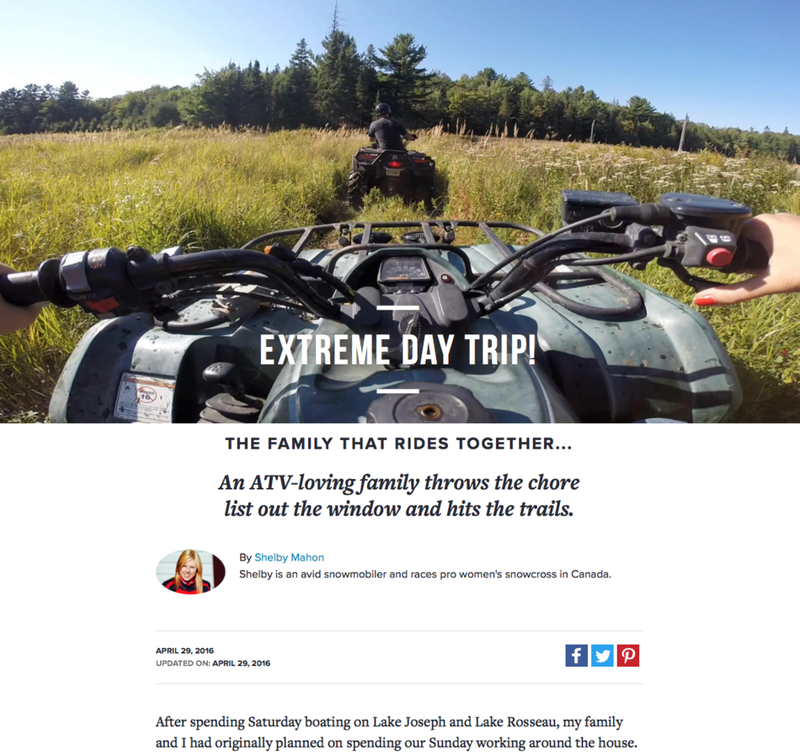 Shelby has written for clients including but not limited to Ontario Tourism, What A Ride, SnoX365, the Canadian Snowcross Racing Association (CSRA), Northern Ontario Travel, American Snowmobiler Magazine, The Rider Scope and ATV.com. Backcountry Motorsports Media can provide press releases and media releases for both digital and print publications like local or national newspapers, magazines, email lists, social media pages and more! Backcountry has an exceptional record of creating timely, detailed and correctly structured press releases for circuits, teams and riders within the powersports industry. With a background in racing Shelby is able to create well thought out, appealing and informative sponsorship decks, proposals and packages for teams, individual riders and companies within the motorsports and powersports industries. With an extensive background in journalism and a solid understanding of the motorsports and powersports industries Shelby is able to bring her stories and articles to life with her descriptive and passionate writing style.